If you plan to use a brand name as your domain it pays to check first that it isn’t already protected. If somebody providing similar products or services has already registered it as a trademark it could lead to problems. There’s a risk that you could become involved in a dispute and be forced to find a new identity for your online presence. If you want to use your brand name as your domain we strongly recommend investigating trademark protection. If you think that somebody has registered a domain name maliciously in an attempt to undermine your brand you may be able to take action. This will be more straightforward if you have registered your brand as a trademark. 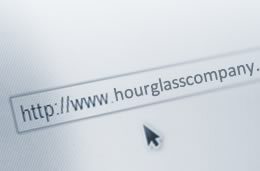 Your IP strategy may need to include domain names that are related to your brand. We’ll help you register appropriate and commercially useful domain names and manage their renewal with the relevant authorities. We also help with domain name disputes. These are normally conducted through the Internet Corporation for Assigned Names and Numbers (ICANN) or the World Intellectual Property Office arbitration service.